Developer: Wizards of the Coast LLC/ Stainless Games Ltd. Explore two brand-new decks and expand your mastery of Duels of the Planeswalkers 2012. Includes “Beknighted,” a white deck filled with honorable Knights waiting to prove their dominance on the battlefield, and “Trinity of Elements,” a speedy blue, red, and green deck that blitzes the enemy before a defense can even be conceived of. 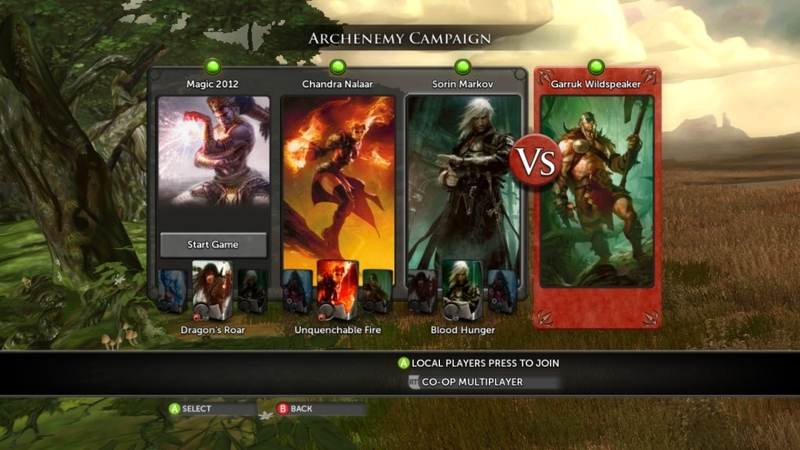 Both decks are available for Campaign and Multiplayer play. 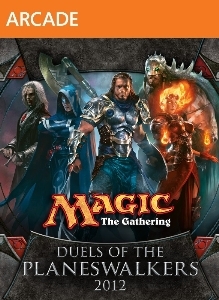 Explore two brand-new decks and expand your mastery of Duels of the Planeswalkers 2012. Includes “Dark Heavens,” a white and black deck featuring a celestial alliance of Angels and Demons, and “Forest’s Fury” a green deck featuring colossal Treefolk on the rampage. Both decks are available for Campaign and Multiplayer play. 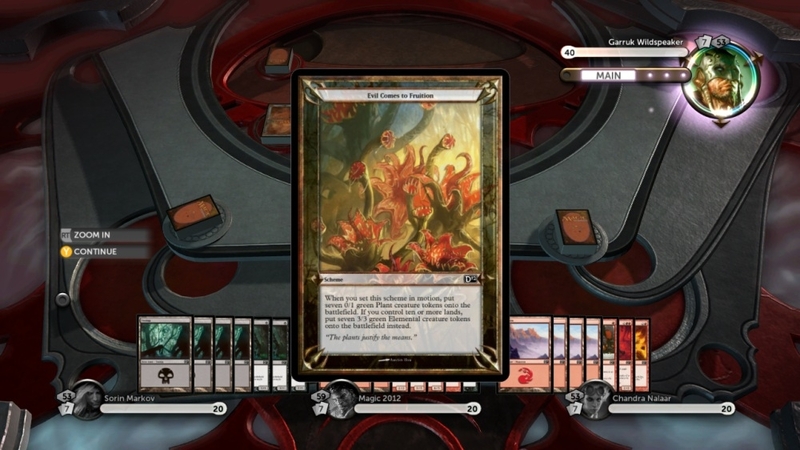 This free game add-on is required to play Magic: The Gathering — Duels of the Planeswalkers 2012 on Xbox LIVE with players who have purchased a Magic 2012 Deck Pack. 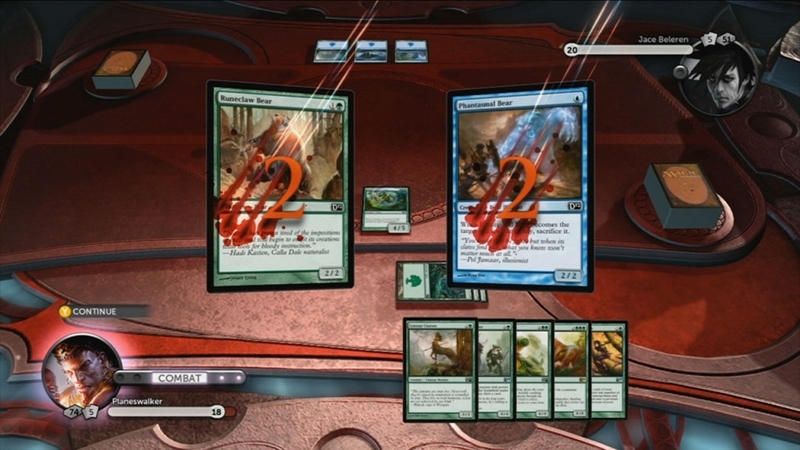 To access all of the features of a Magic 2012 Deck Pack, you must purchase the full version. 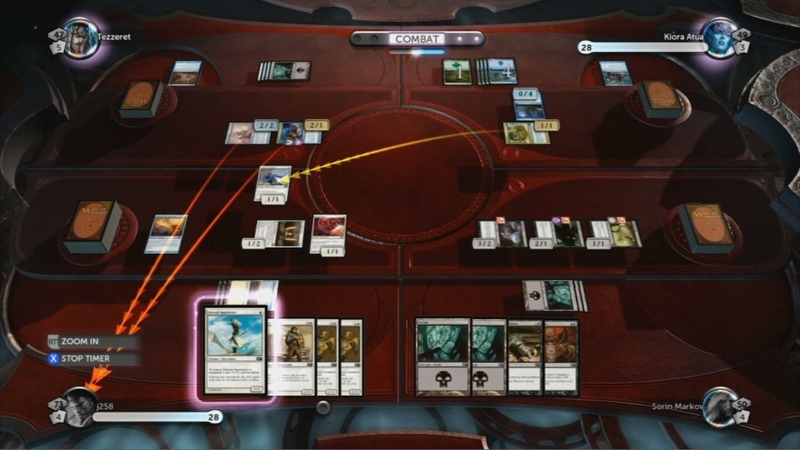 Explore two brand-new decks and expand your mastery of Duels of the Planeswalkers 2012. Includes “March to War,” a red and white deck featuring an army of brutally efficient Soldiers, and “Ghoulkeeper,” a vile black deck featuring an unrelenting Zombie legion. Both decks are available for Campaign and Multiplayer play. 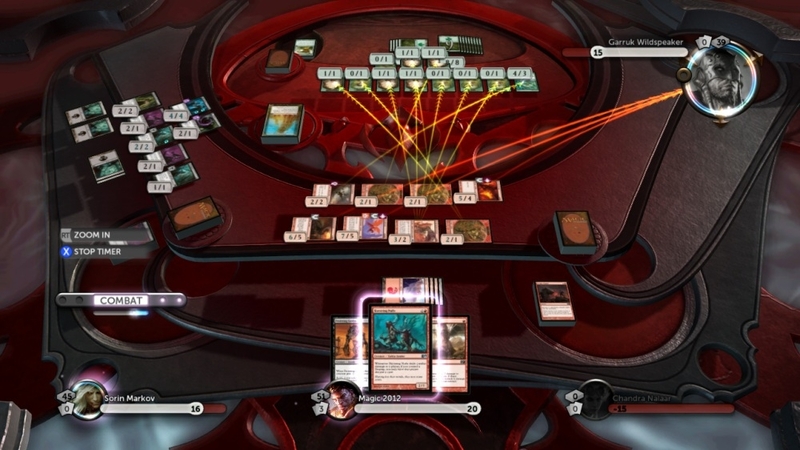 Download the trial version of Magic: The Gathering – Duels of the Planeswalkers 2012, which takes last year’s massive hit game to even greater heights with better graphics, more options, and new challenges! Face off against the AI, or gather your allies for the new multiplayer format: Archenemy, where you team up to take down a boss opponent. And if one of your fellow Planeswalkers drops out, no problem–the AI will drop in for uninterrupted action! 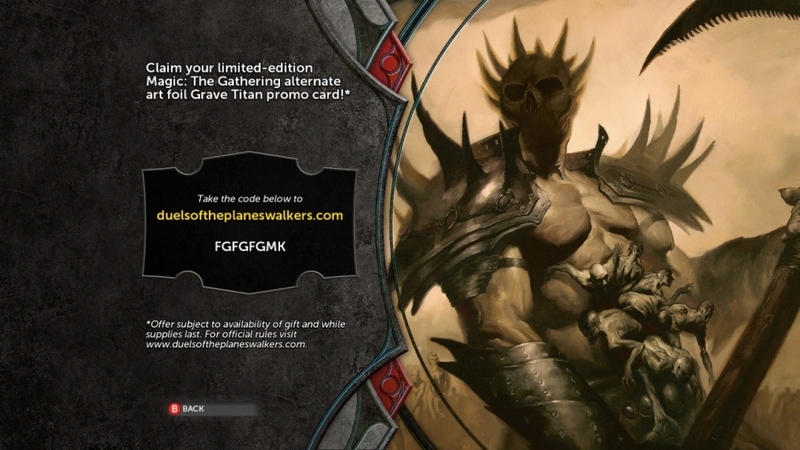 Featuring ten unique decks, Duels of the Planeswalkers 2012 also lets you customize those decks. As you progress in the game, you can enhance them by swapping in new, unlockable cards! Gather your allies. A challenge awaits.